Please Note: The October Pack Meeting will be at the Mantua Masonic Lodge. Join Pack 45 on September 29th for our annual RoundUp event where you can listen to what we do as a pack, ask questions, and have your kids participate in some scouting activities. Information has been posted here for the Pack 45 Chick-fil-A Night on June 28th. Pinewood Derby information has been posted here. 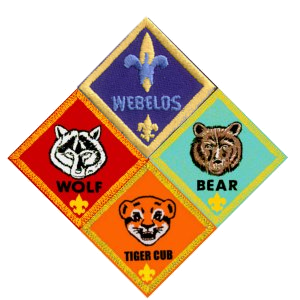 Scouts can check their cars in Friday night (Feb 3) from 7:00pm-8:30pm to avoid the rush on Saturday. Please note: The October Pack Meeting will be held under the pavilion at Chestnut Branch Park. The start time of the meeting will be 7:30PM. All kids are encouraged to wear their 'school-appropriate' costumes. Information about the Popcorn Fundraiser, including the Show-and-Sell signup sheet, has been posted to the web site here. Information about Family Camp has been posted to the web site. A signup form is also on this page. Click here - Family Camp Event - for more information. November 21st 2015 at Mantua Lodge No, 95 F.&A.M. Dining Hall 45 Mantua Blvd. in Mantua N.J.
See our website for reservation of tickets and prepay by Pay-pal available, or call, seats are going fast and it is first come first served.